MacPhail Equine Dentistry uses patience, technique, and horsemanship to alleviate all sources of pain and restriction in the equine mouth. Every edge of every tooth is inspected and smoothed where necessary using modern, non-motorized, hand held tools. As a horse dentist, Duncan has successfully performed more than 8000 floats on unrestrained, non-sedated horses. Each horse is an individual with a unique personality and needs. Through careful handling Duncan is able to put them at ease to complete each float. 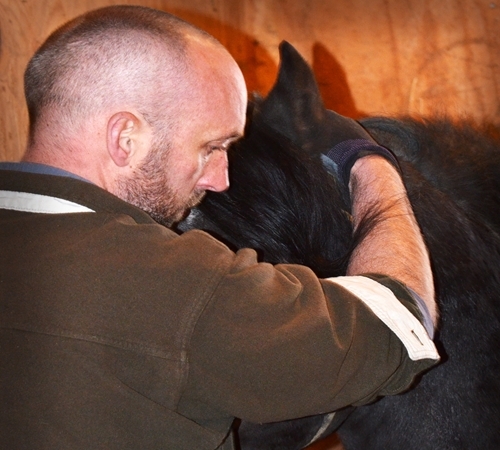 Duncan believes strongly in educating his clients about their horse’s teeth and will take the time to explain each procedure.